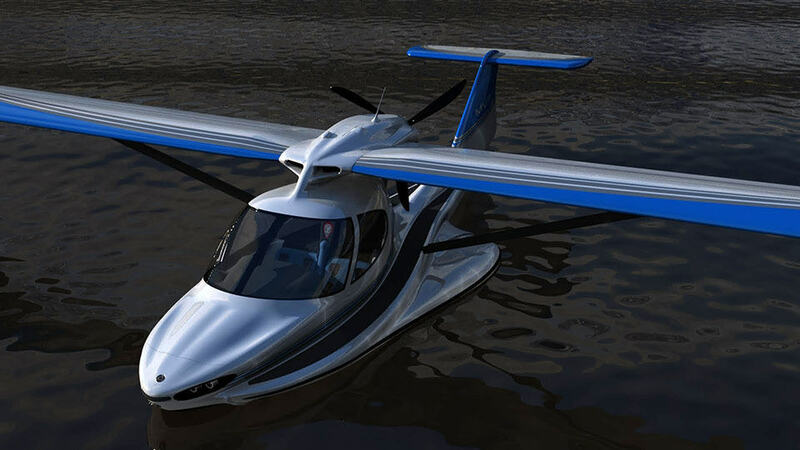 it may not be a car, but the MVP Light Sport Aircraft is kind of like the MPV (Multipurpose Vehicle) of the sky, well, maybe the lake too. heck, you could even call it a camper. the only difference is, where this camper goes, it needs no roads. seriously, we can’t see what’s not to love about this vehicle. imagine reaching far beyond what a traditional camper can, lazying your day at the bow or fishing for willing fishes to be your dinner on a secluded lake. yup. you heard us right. we made references to ‘bow’ and ‘fishing’, because that is what it has and will let you do. surely worthy of the name MVP, which by no accident stands for Most Versatile Plane. it is also refer to as a “triphibious” aircraft, which simply means it can land on solid ground, snow or water via “repositionable gear”. 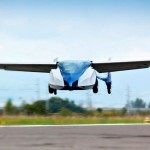 to be fair, MVP is not first to claim the triphibious capability, but it is surely one that we could call a flying boat. flying boat not a seaplane, because you can scoot it around the lake to your favorite fishing spot and basically take it around the waters like a boat. 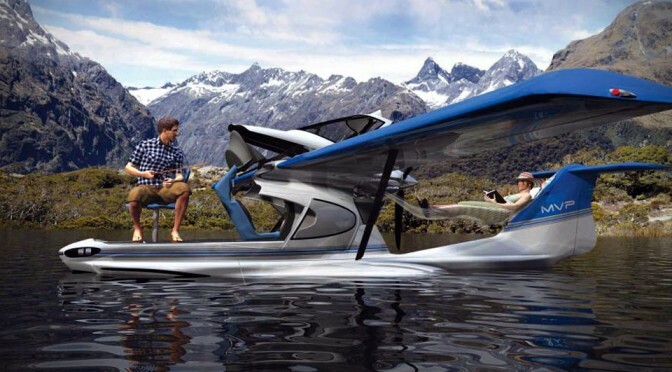 you can’t do that we your seaplane, can you? 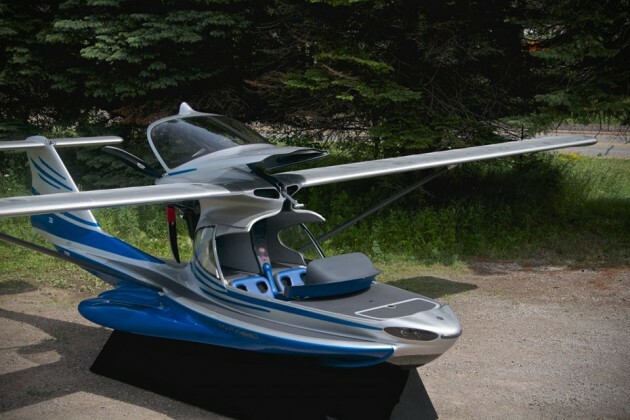 officially certified as a Light Sport (S-LSA) aircraft, the MVP Light Sport Aircraft can be configure to a leisure watercraft simply by lifting its canopy and the instrument panel upwards and away, leaving the nose of the airplane wide open where you can chill out on it, affix a chair for fishing or whatever you wish. with an optional tent accessory, you can even convert the bow into a sleeping quarter good for two. the passenger chair is removable too, thus allowing for more luggages and stuff to be ferried if required. 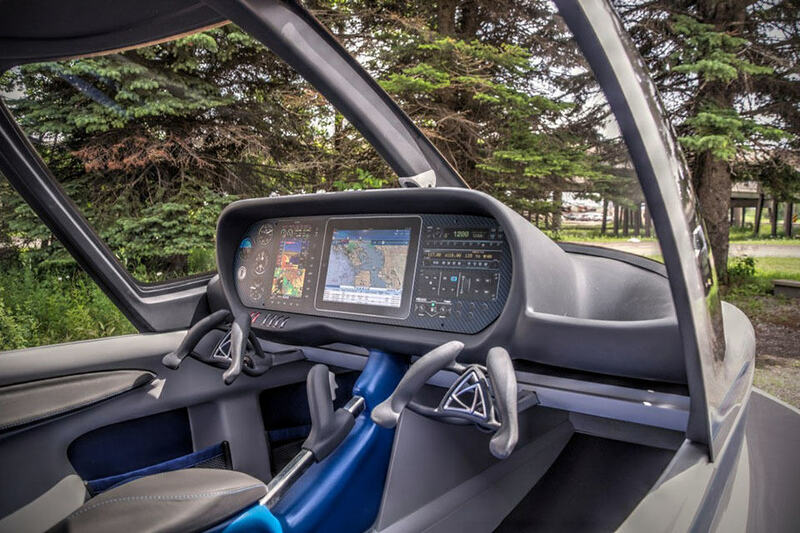 flanking both sides of the vehicle are catwalks that allow you to move from front to back freely to make preflight check or simply as access to aft for other activities. the maker said hammock could be stretched across the back, but looking at that threatening propeller, we rather not do anything other than formal chores. 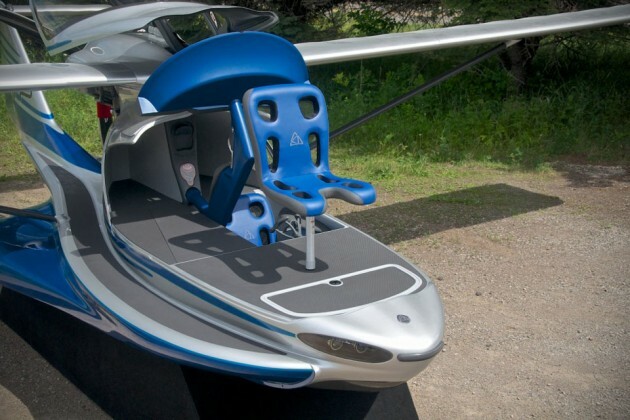 this unique flying contraption also features electric thrusters that allows it to maneuver around tight waters such as those at the marinas, while folding wings let you dock this baby at any regular dock. 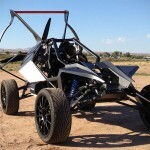 it will be offered with several engine options, but it is designed with the Rotax 912/914 series in mind. 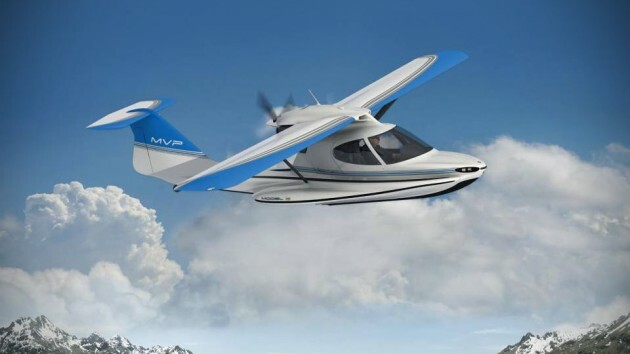 performance-wise, MVP has a maximum cruise speed of 104 knots at sea level and useful load of around 450 lbs. the latter is really dependent the option loaded to it. as for the size, it has a wingspan of 36′ (10.97m) and stretches 26′ 7″ (8.1m) from nose to tail, but weigh is unknown. however, in keeping with the Light Sport Aircraft (LSA) criteria, it should be more than 1,320 lbs, or this case, it could 1,430 lbs since it is likely to be classified as a seaplane. the MVP Light Sport Aircraft is expected to hit the market in about five years time, which should give you enough ample time to do two things: one, get a sport pilot license and two, save $189,000 to drop for one. maybe a bit more, for duties, insurance and other necessary evils. technically inclined folks can look forward for a slightly affordable option in kit form which will be available earlier for $169,000. keep going for a couple of videos to learn more.